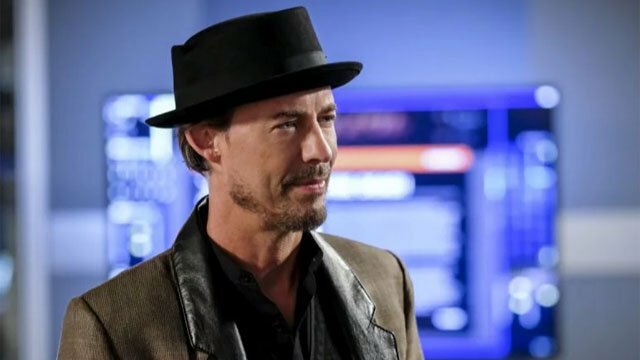 In the multiverse of The Flash, the various Harrison Wells inevitably migrate to the prime Arrowverse. 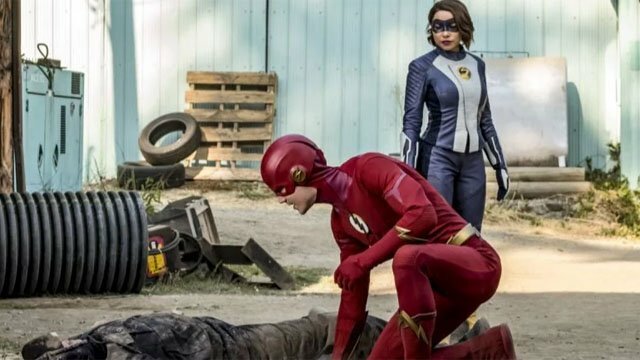 Last week’s episode was Wells-free, but The Flash season 5 episode 3 finally introduced this year’s model. But only because Cicada proved to be too much for Team Flash. Nora also broke the bad news about Cicada. In the future, Cicada is a feared serial killer who eluded capture even when Green Arrow and Supergirl tried to handle him. No one even knew who Cicada really was, and his reign of terror was never ended. Nora was also distraught that her presence in the past had led to Cicada murdering two villains who would have otherwise survived. Iris also sensed that Nora’s obsession with capturing Cicada was her way of atoning for the mistake. To give themselves an edge, the team recruited a new Wells from the multiverse: Harrison “Sherloque” Wells. Sherloque was billed as the greatest detective in the multiverse, and he quickly identified Cicada as David Hersch. But not before belittling Ralph and Cisco. Barry and Nora followed Sherloque’s intel to Hersch’s compound, although Nora ran right into a trap. Barry saved his future daughter, and together, they captured Hersch. Nora wanted to celebrate their success, but Barry soon came to the conclusion that Hersch was a killer…just not the one they were looking for. The team also learned that Sherloque identified Hersch so quickly because he had already captured 36 other Cicadas in the multiverse. Considering that Sherloque extorted a large fee from the team, they were pissed. Even more so when he attempted to fake his death. Meanwhile, Cicada became obsessed with Vibe/Cisco, and he deduced that Joe knew how to contact him. Cicada decided to attack Joe in his home and demanded that he summon Vibe. Ralph was largely excluded from the hunt for Cicada. 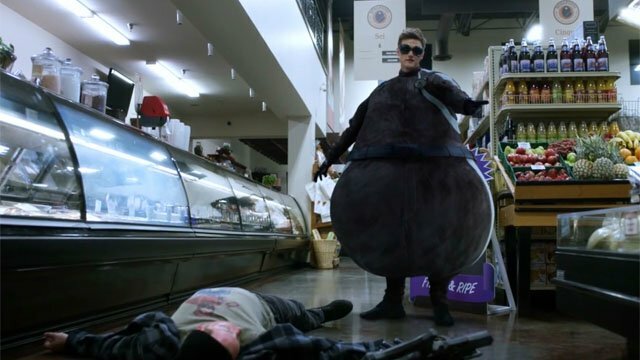 Instead, Ralph inadvertently became an internet meme when he thwarted a grocery store robbery while looking like a giant piece of Willy Wonka candy. Caitlin helped Ralph ignore his humiliation by recruiting him to solve her mystery. Together, they confronted Caitlin’s mother about the death certificate she forged for Thomas Snow, Caitlin’s father. When that failed to yield any answers, Caitlin and Ralph broke into her mother’s records. Caitlin found what she was looking for, but she was heartbroken when it contained a suicide note from her father. However, she soon realized that Thomas had left her a hidden message inviting her to come find him. Cecile sensed Joe’s torture at the hands of Cicada, and she summoned Team Flash for help. 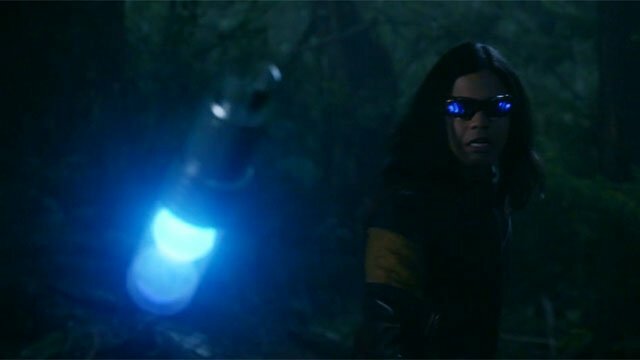 Cisco was the first to respond, and Cicada tackled him thorough a vibe portal into a forest. From there, Cicada stalked Cisco with the intent to kill. When the Flash arrived to help, his powers were also drained by Cicada and he received a brutal beating. Desperate to fix the situation, Nora helped Cisco fake his death to make Cicada believe he succeeded. Team Flash furthered the trick by announcing Vibe’s death in the press. Elsewhere, Cicada revealed himself to be a grieving father for a comatose daughter. He also has a wound on his body that won’t heal. Later, Sherloque tried to get Nora to admit that she didn’t make the decision to interfere with the past alone. Nora denied the insinuation, but the look on her face suggested that Sherloque was correct. 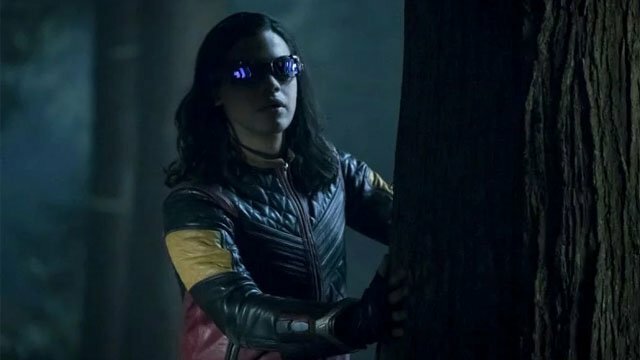 What did you think about The Flash season 5 episode 3? Let us know in the comment section below!